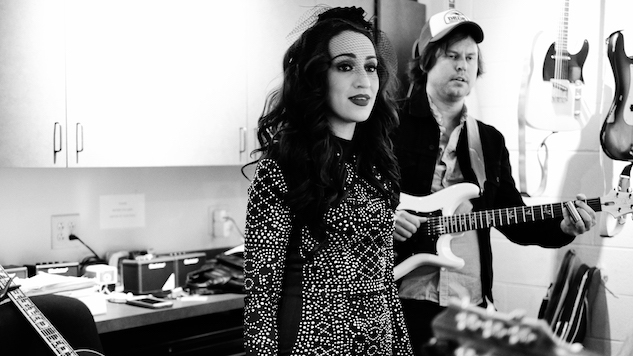 Exclusive: Hear Lindi Ortega Cover Leonard Cohen's "Suzanne"
It’s coming up on two years since we lost the legendary Leonard Cohen. The Canadian musician, poet and songwriter died Nov. 7, 2016, and, since then, his music has only continued to inspire his fellow artists. One such devotee and a Canadian singer-songwriter herself, Lindi Ortega is honoring the late musician with a cover of “Suzanne,” the lead single from Cohen’s 1967 debut album, Songs Of Leonard Cohen. The cover, which Ortega originally recorded for Polaris Music Prize’s Cover Session honoring the late musician, will be available everywhere Friday, Nov. 2, but it’s premiering first right here at Paste. You can give “Suzanne” a listen below. I chose the song “Suzanne” because I love the imagery of it. It projects such a vivid picture in the mind. I love how Cohen describes Jesus’s cross as a lonely wooden tower; it’s those poetic lines that floor me. This is why Leonard Cohen is a legend. I often wondered, as a little girl, when my mom would play his music for me, what it must be like to see the world through the eyes of Cohen. Poets see things differently. I admire that, and I envy it. Cohen is a master of his craft. I have such a deep appreciation for poetry and words because of Leonard Cohen. Ortega’s take on “Suzanne” will become available on all digital streaming platforms this Friday, Nov. 2., but in the meantime, you can listen below. Further down, watch Ortega’s Paste Studio session from April and while you’re at it, read our feature on Ortega from earlier this year here.